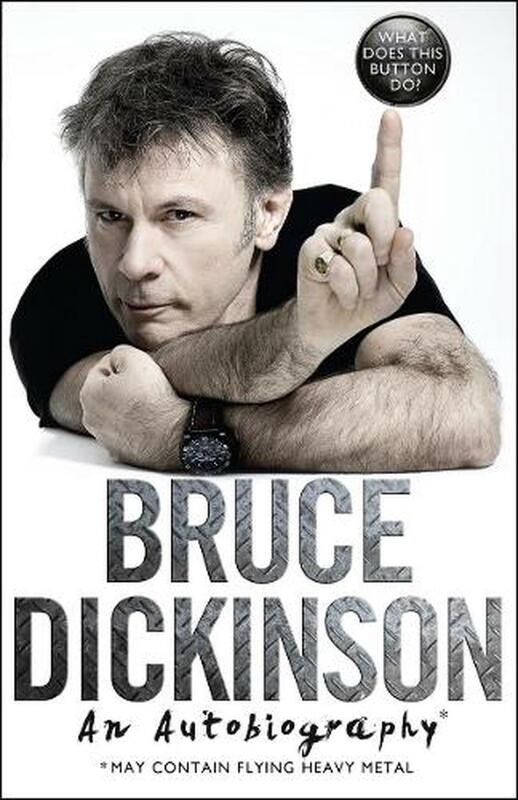 Bruce Dickinson - Iron Maiden's legendary front man - is one of the world's most iconic singers and songwriters. But there are many strings to Bruce's bow, of which larger-than-life lead vocalist is just one. He is also an airline captain, aviation entrepreneur, motivational speaker, beer brewer, novelist, radio presenter, film scriptwriter and an international fencer: truly one of the most unique and interesting men in the world. In What Does this Button Do? Bruce contemplates the rollercoaster of life. He recounts - in his uniquely anarchic voice - the explosive exploits of his eccentric British childhood, the meteoric rise of Maiden, summoning the powers of darkness, the philosophy of fencing, brutishly beautiful Boeings and firmly dismissing cancer like an uninvited guest. Bold, honest, intelligent and funny, this long-awaited memoir captures the life, heart and mind of a true rock icon, and is guaranteed to inspire curious souls and hard-core fans alike. Bruce Dickinson has been the lead singer of Iron Maiden for more than thirty years, and has pursued a successful solo career, as well as a host of interests beyond music. Iron Maiden has sold over 90 million albums & performed over 2000 shows world-wide, making them one of the most successful rock acts of all time. He lives in London, England.